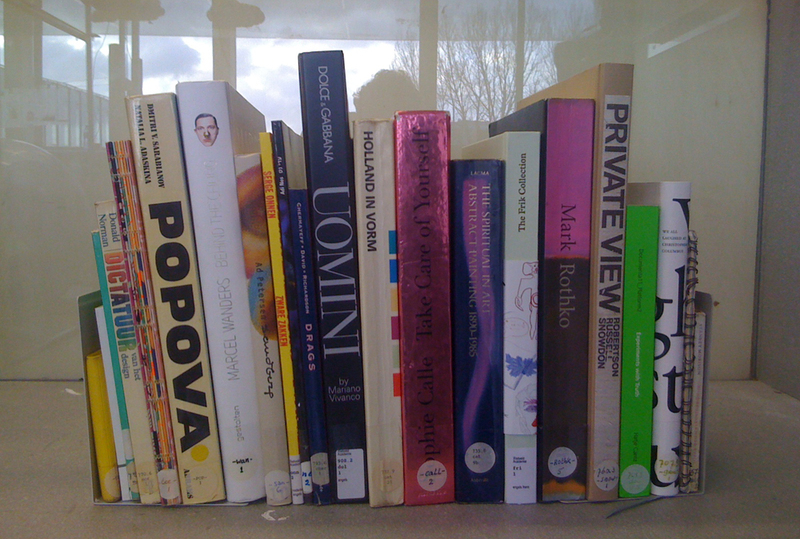 Select a book from the library collection based solely on its spine. Why did you choose for this spine and not for another? What do you think this book is about? 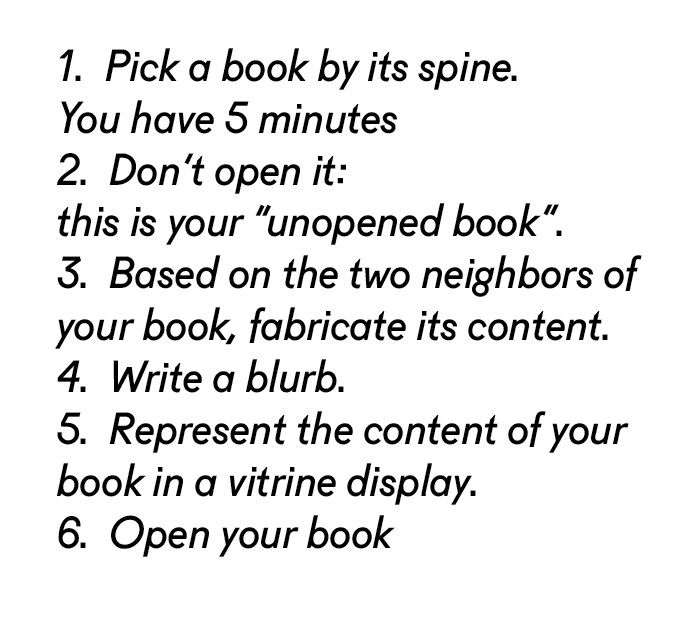 Write a Blurb on this Unopened Book and visualize that imagined content in a vitrine! Fernand Baudin Students Publications March 2012 was the first edition of a yearly event dedicated to students publications. It was an event dedicated to editorial productions by students in Belgium and connected to the international scene. The first year was an experimental, reflective and prospective one – engaging students, teachers and ‘professionals in public discussions on the practice of making and thinking books today. It was also a moment to think about publications (book fairs, book awards, book exhibitions, etc) questioning their relevance to the realities of students’ practice today. As part of discussions and presentations, organized during this event, Nina Paim and Corinne Gisel gave a lecture presenting their 2012 graduation project Library Talk of which “Unopened Books” was a part initiated in cooperation with the Basic year’s Design/DesignResearch program. 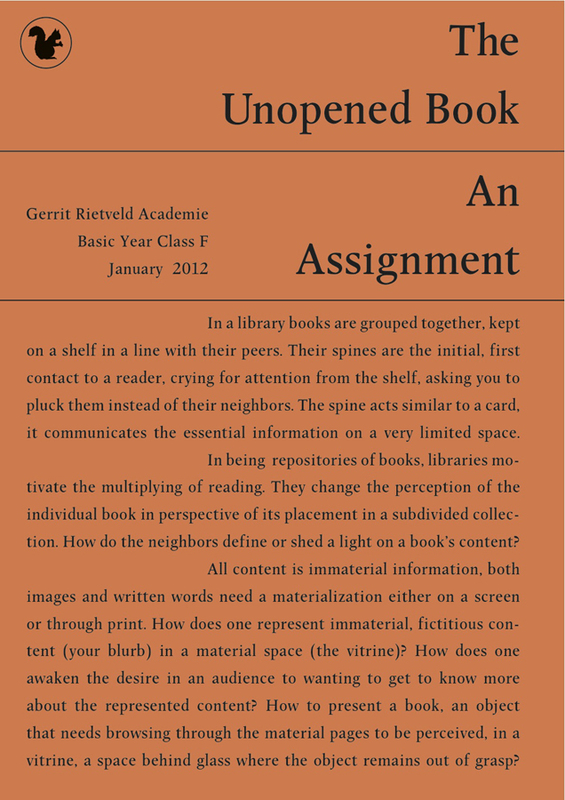 This lecture is integral published in the book “Fernand Baudin Students Publications/This Is Not A Most Beautiful Books Award” and can be lend in the Rietveld Library [lib no: ]. Mixing different times and spaces this publication proposes another way to document that event. It publishes elements retracing its making, explaining its structure. It makes public what happened before and during the event –the pieces and the facts– but also what happened after and is still happening while those lines are written.